The electronegativity of carbon (2.55 on Pauling scale) is less than that of fluorine (3.98), chlorine (3.16), bromine (2.96) or iodine (2.66). 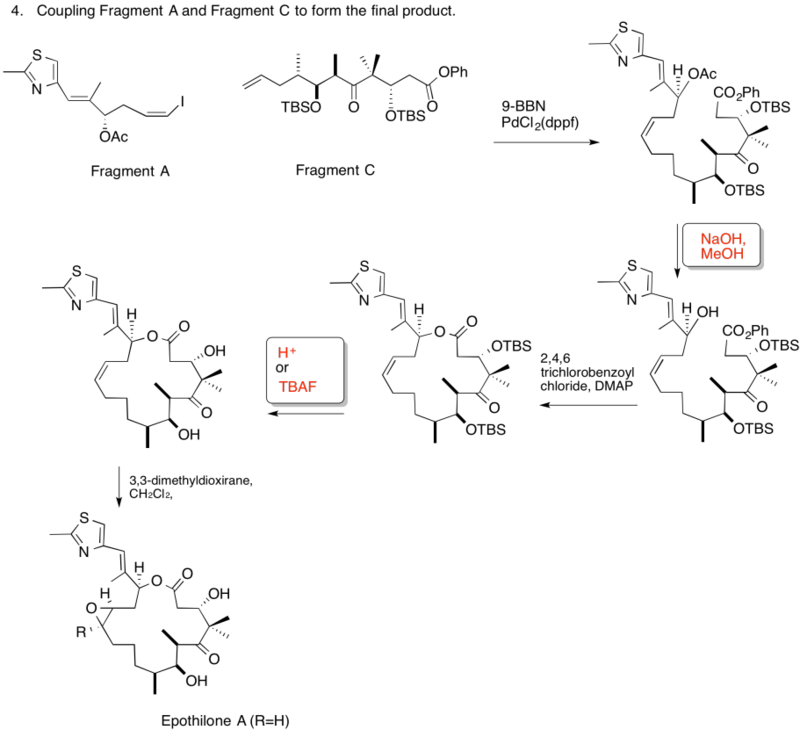 a) On that basis, the carbon attached to a halogen is electrophilic because it has a partial positive charge resulting from the polar carbon-halogen bond. b) We would expect an alkyl fluoride to be the most electrophilic of these compounds, based on electronegativity. 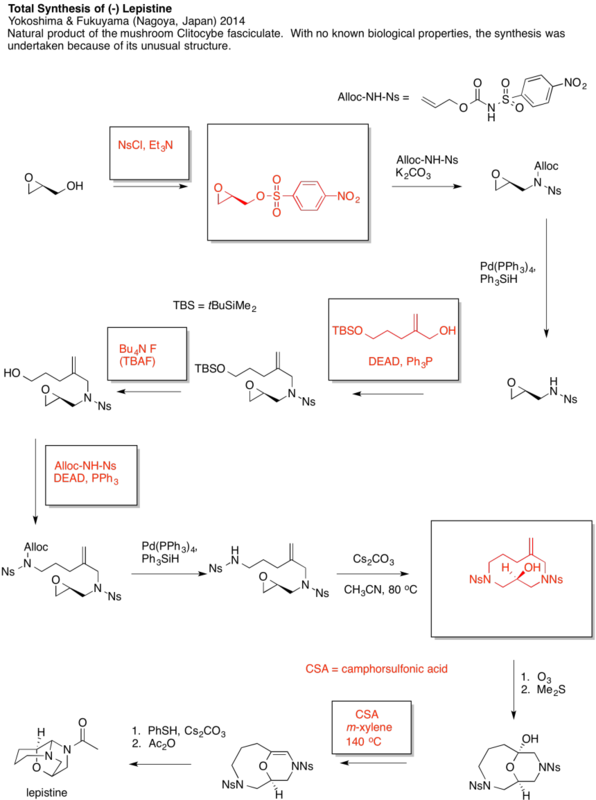 c) Assuming the energy required for breaking the carbon-halogen bond plays a major role in the activation barrier (not guaranteed), we would expect the activation barrier to be lowest with the alkyl iodide, then the alkyl bromide, then the alkyl chloride and finally the alkyl fluoride. This prediction contrasts with what we might expect based on electronegativity. 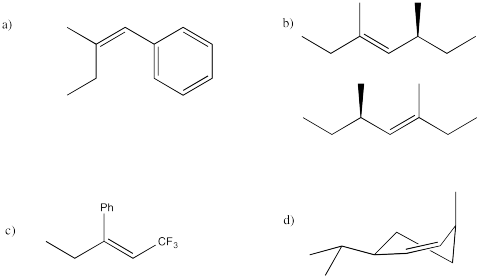 d) The stability of alkyl fluorides towards this reactions suggests that there is, in fact, a prominent role played by bond strengths, at least in that case. 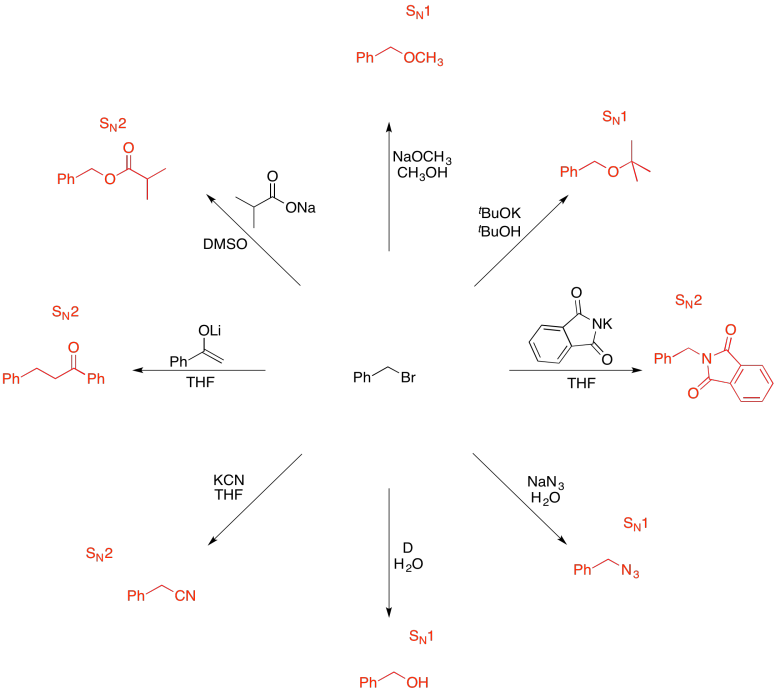 The carbon-fluoride bond is strong enough to hinder nucleophilic substitution in this compound. 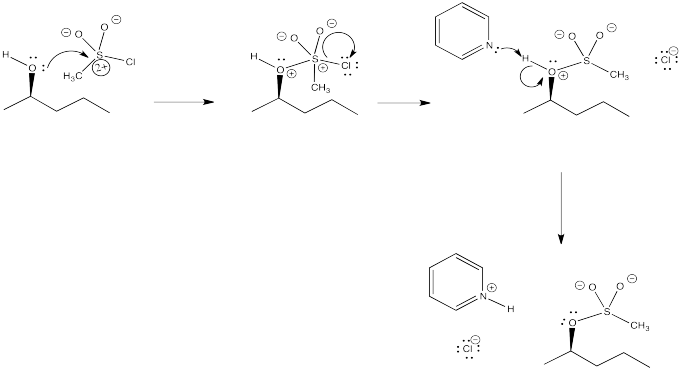 a) In mechanism B, the dissociative one, we would expect a higher activation enthalpy. The first step, which appears to be rate determining, is a bond-breaking step, which will cost energy. 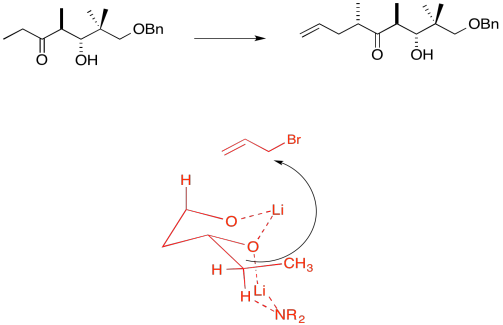 In mechanism C, the bond-breaking is compensated by some bond-making; overall, this probably costs less energy. b) In mechanism B, the dissociative case, we expect a more positive entropy of activation. 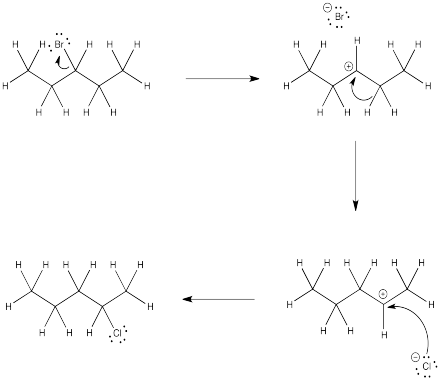 As the bond to the halide begins to break, the halide and carbocation fragments begin to move independently of each other, gaining degrees of freedom and increasing in entropy. 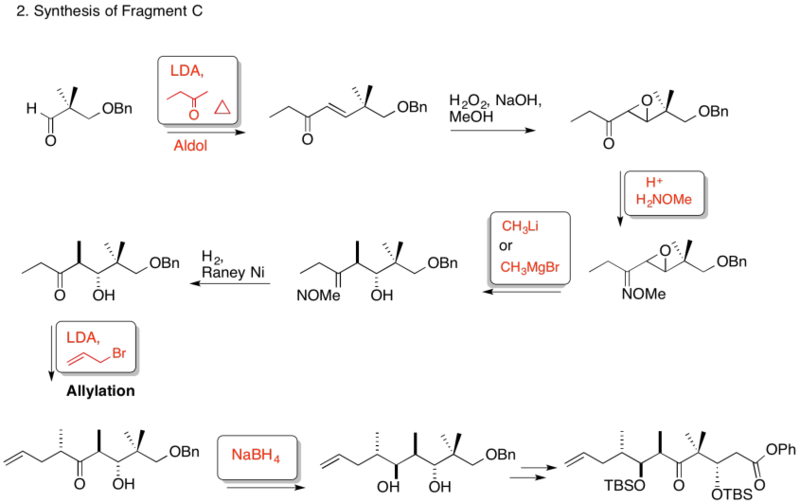 In mechanism C, the incoming nucleophile appears to coordinate its motion with that of the departing halide; as a result, there are fewer degrees of freedom in this case. 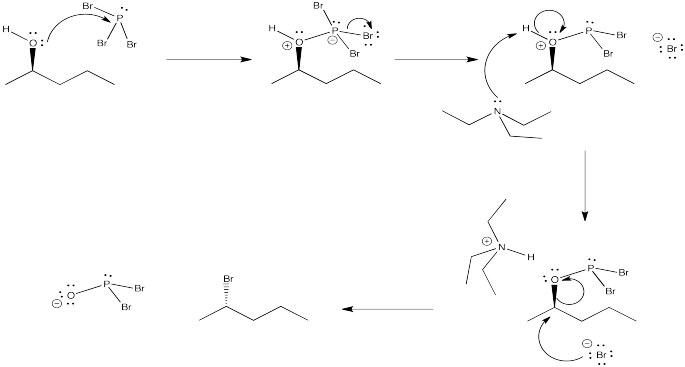 a) Charged intermediates are present in the dissociative mechanism (B). 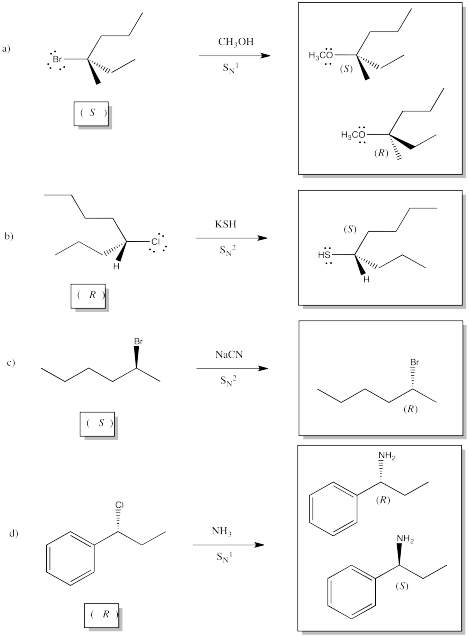 b) It seems like a more polar solvent would favour both mechanisms, because both involve the interaction of an anionic nucleophile with an electrophile and loss of an anionic leaving group. However, the dissociative case (B) involves a build-up of charge in the intermediate. It is possible that a more epolar solvent could reduce the barrier to that buildup of charge separation, accelerating this mechanism. 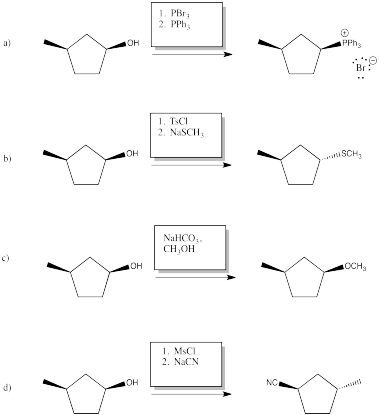 a) The rate-determining step is probably the bond-breaking one (the first one). b) Because the nucleophile has not yet participated at that point, Rate = k [R-X], if R-X = the alkyl halide. c) There is only one step; it is the rate-determining step, by default. d) Rate = k [R-X][Nu]. Keep in mind that there are other factors that can influence the reaction pathway; what we have here are just the most likely mechanisms. 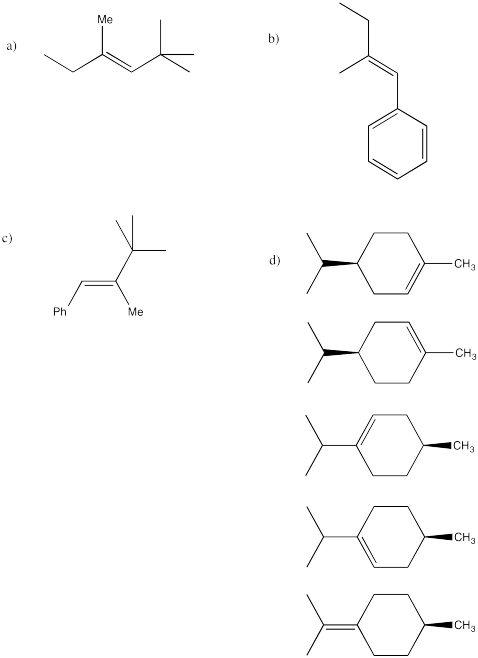 d) DMSO > DMF > ACN > pyridine > DCM > THF > ether > TEA, based on dielectric constants. In general, the ones with multiple bonds between two different atoms are the most polar. 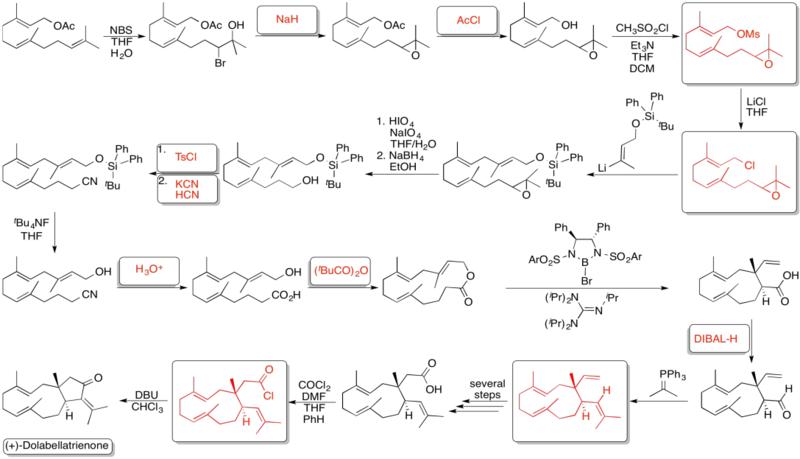 e) pyridine and triethylamine. The lone pair on the nitrogen atom is basic toward protons. 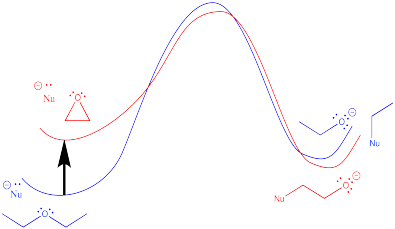 The trend in basicity is triethylamine > pyridine >> acetonitrile; as the percent s character in the lone pair increases, the electrons are lower in energy and less available for donation. 3. 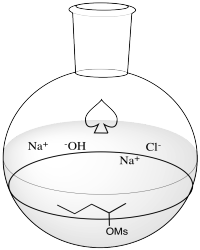 Kinetic -- to fully deprotonate (not equilibrate or you lose stereocontrol) and for the chelation control. 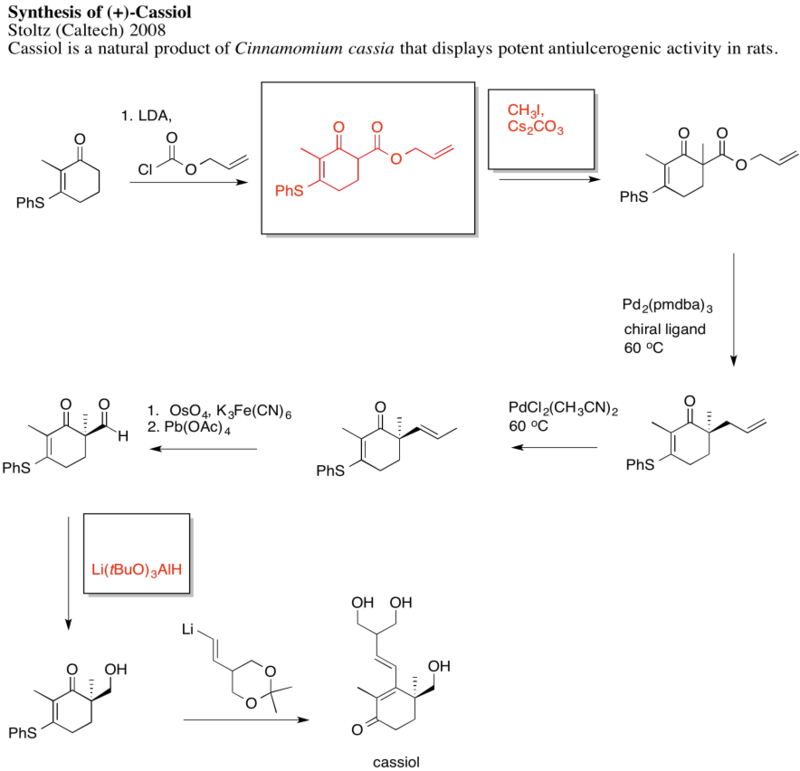 Due to chelation effects shown above, the LDA preferentially removes one hydrogen to form only the Z-enolate that will then do the SN2 to allyl bromide on only one face. DEAD acts as an oxidizing agent to convert the phosphorus product to a stable side-product, triphenylphosphine oxide, Ph3P=O. 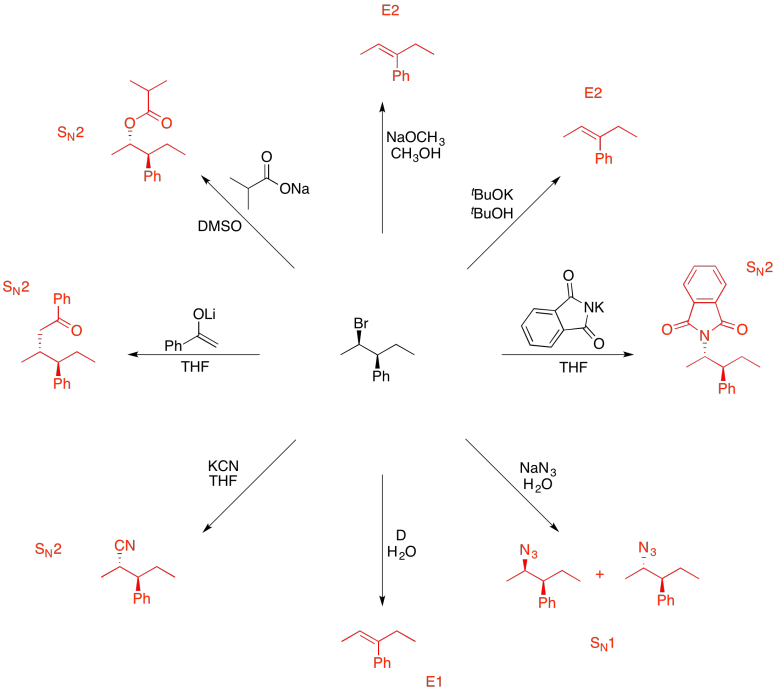 a) products of cation rearrangement via hydride shifts: 2-heptene instead of 3-heptene. b) The absence of rearrangement suggests the absence of cations. 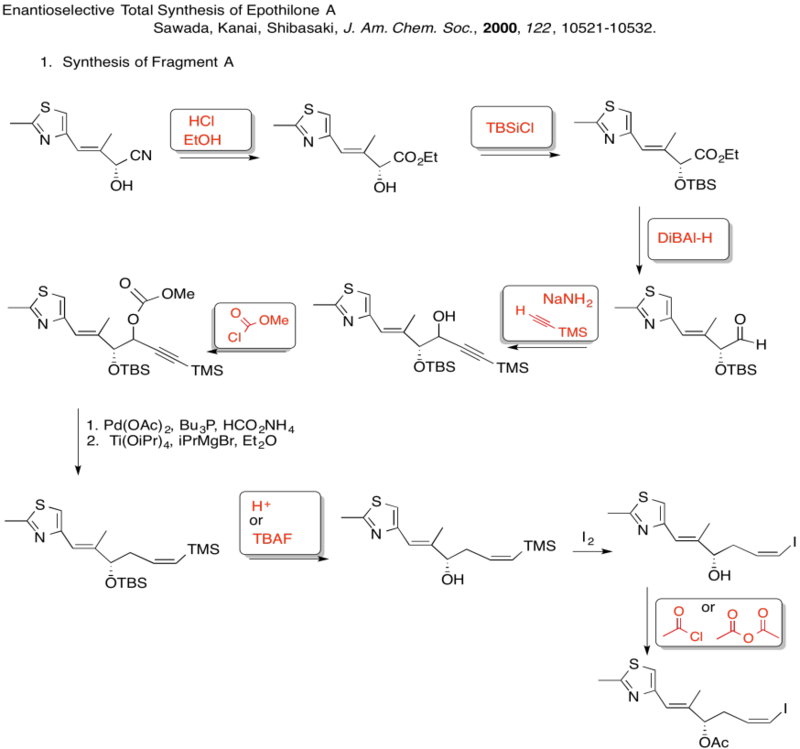 The mechanism for the reaction shown must be concerted rather than via the ionic intermediate. 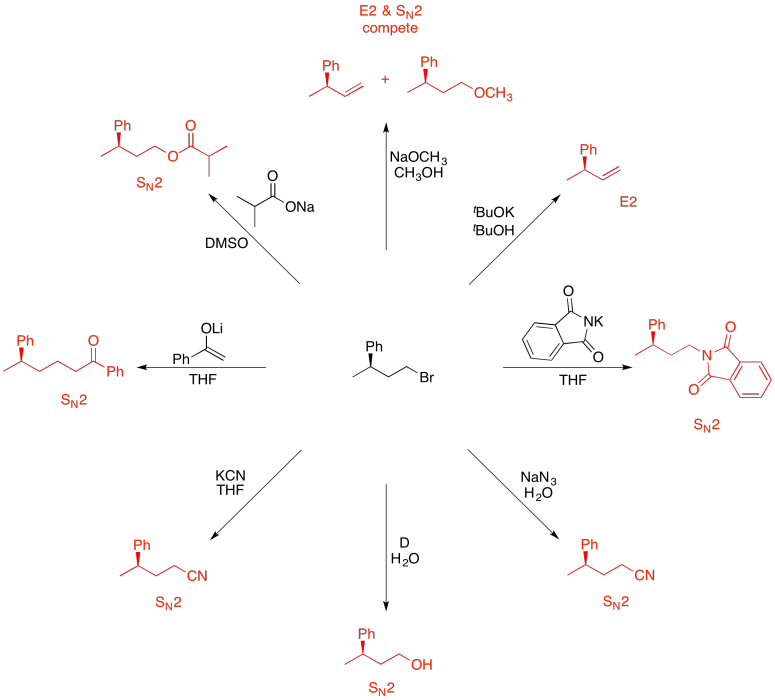 Cation stability is important in an E1 reaction. 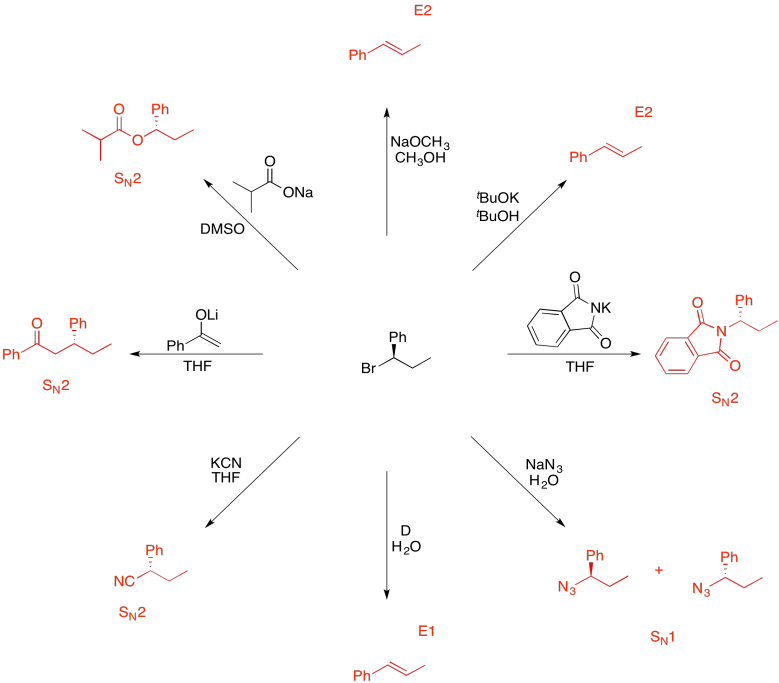 Any tertiary alkyl halide would be a good example. 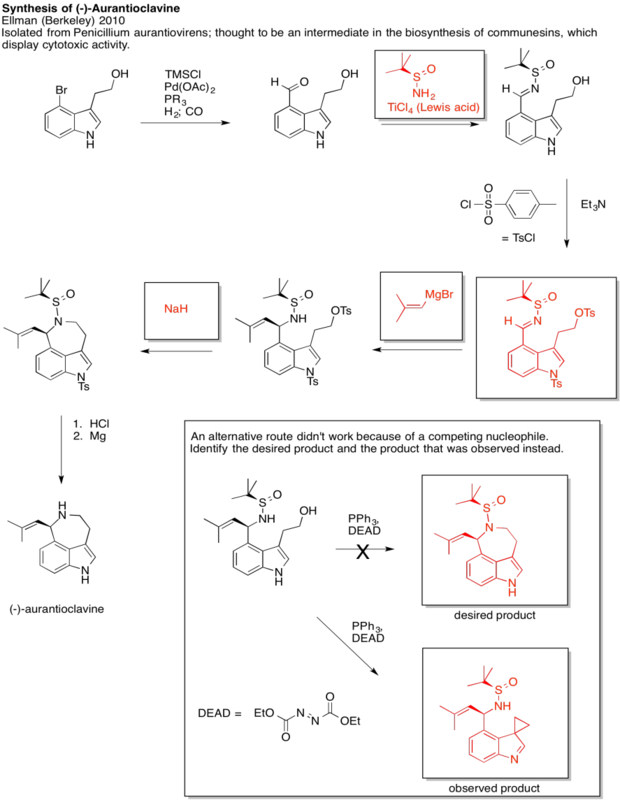 Benzylic alkyl halides would also be good examples if they are either secondary or tertiary. 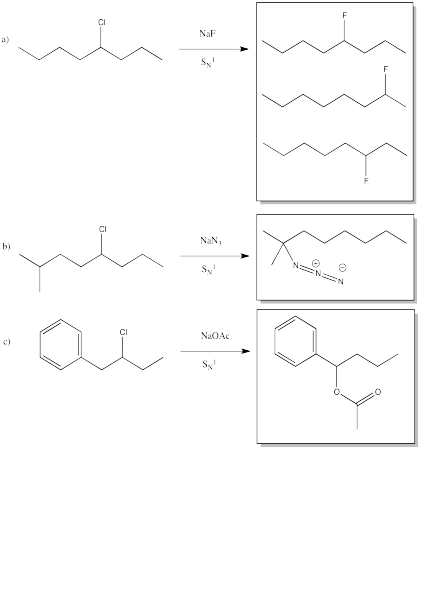 Protic solvents could promote E1 reactions. 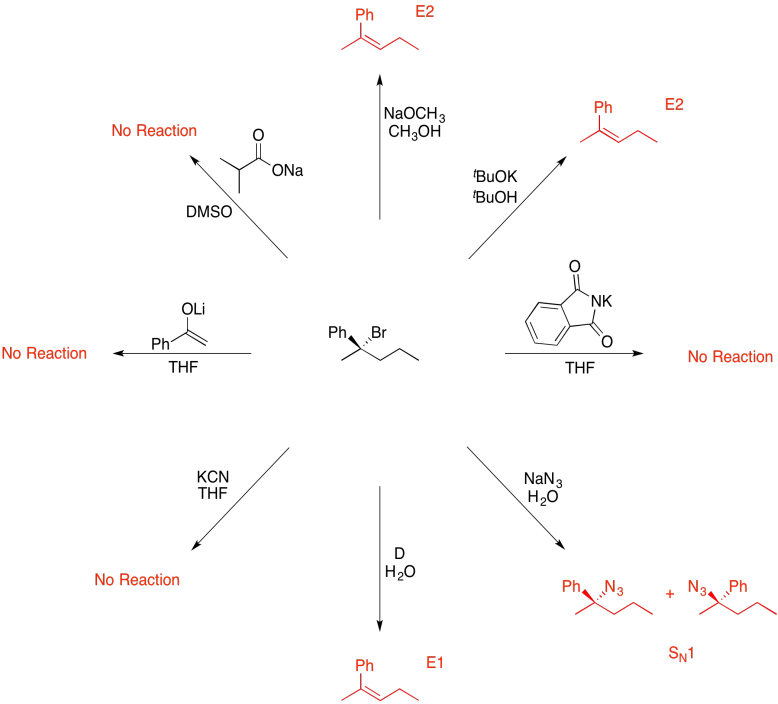 A strong base could promote an E2 reaction. 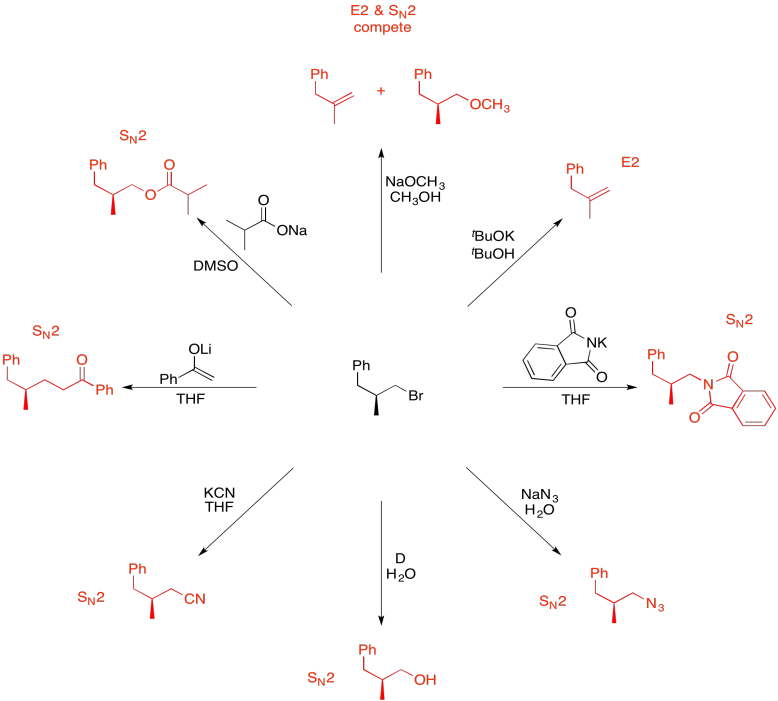 c) Ring strain promotes opening of the ring. 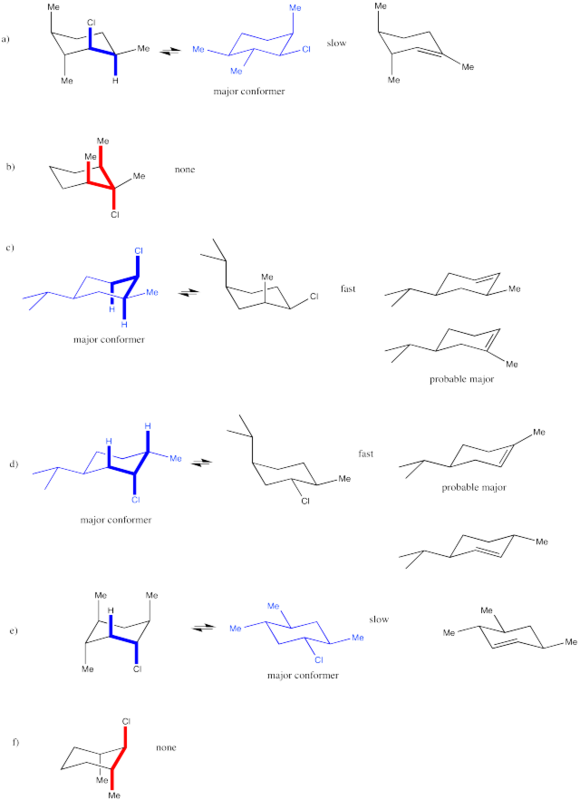 Answers may assume aqueous workup after the reagents shown. Only one answer shown per box; similar answers may also work.